The All Access Hackathon theme was ‘reimagining how technology can create a more inclusive transport system’. Hackathon participants were challenged to find solutions which address barriers to transport access including age, licensing, affordability, geographic isolation and resilience, and disability. “There are people and parts of New Zealand whose needs are not yet met by our current transport system, whether that’s through geography, affordability, age, physical accessibility, or other factors,” says the Transport Agency’s Director of Connected Journey Solutions, Martin McMullan. 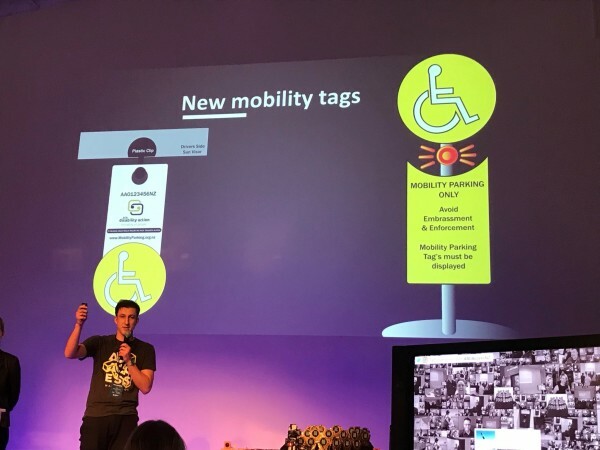 The overall winners were ParkRite who came up with a solution to stop the abuse of mobility parks by those who are not entitled to use them and to provide visibility of the availability of mobility parks across New Zealand. They created a blend of hardware and software using Radio Frequency Identification (RFID) tags which are embedded in mobility parking permits with sensors to detect the presence of a vehicle in the park and to provide a visual cue as to whether that driver is legally parked.